I’ve driven a few electric cars recently, but let’s face it, they are bank-breakers. I’m not currently in a position to spend upwards of £85k on a car, but I am mindful of the environment. I’m also a fan of quality. 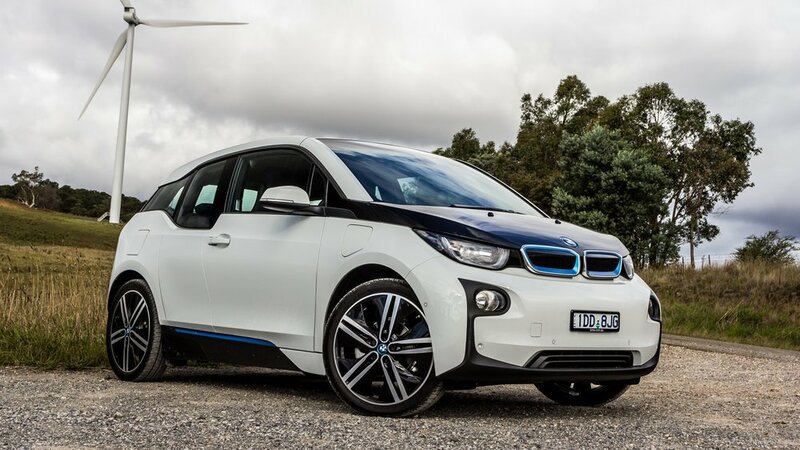 So what’s the deal with the BMW i3? I’ve driven a few BMWs recently too, and I think (if my memory serves me correctly) I’ve liked them all. But is the i3 just a gimmick? Is it a nod to the environmental agenda that serves to lower the average emissions of the whole range? No. I didn’t really know what to expect before the car was delivered. I knew what they looked like, and I’d read the technical stuff I needed to so that i knew how far it was likely to go, and how to charge it when it inevitably ran out of juice, but that’s about it. If I’m honest, I wasn’t expecting it to be that BMW-like. BMWs always feel quality. They market themselves as the ‘ultimate driving machine’ and you always feel the performance that is under the bonnet, but I wasn’t really expecting this to be that. It’s electric, it’s small, and it doesn’t look like a drivers car. But I’ll let you in on a secret. It actually is. I was surprised – genuinely – to find myself liking it. Once you’re inside it it does feel reassuringly familiar (if you’ve driven a modern-era BMW) and the controls are all very logical and efficient. The gear selector is the only odd thing, jutting out on the upper right hand side of the steering column, but once that’s figured out, the electric hand-brake and i-Drive system are all set and away you (silently) go. I’d forgotten the slightly eerie feeling of starting motion in a car without any noise, but you quickly get used to it, and once you’re moving, there’s enough road noise (not too much) to reassure you that all is well. And Speaking of moving, I expected less-than-average power, but this thing can really move! Without a conventional gearbox, it accelerates quickly and smoothly and can hold its own against pretty much any other similarly priced petrol car, and certainly outstrips anything of a similar size that I can immediately think of. Another thought occurs to me, and that’s the simplicity of the dash – at first I thought it maybe didn’t have that many bells and whistles, but it does – it’s part of BMW’s way of making everything do more than one task, and it makes for a simple user-experience. So what’s it like to live with? Well I had this for a few days and therefore had to charge it once or twice and I was a little wary of that, but in fact it was simple. The charge cables are kept under the bonnet (no engine there after all) and the port that looks like a petrol cap is simple to plug in. I charged the car up overnight on a standard domestic 3-pin plug and it was fully powered and raring to go in the morning. A full charge said it would give me 140 miles according to the trip computer but this depends entirely on conditions, so I figured 120 would be safer to assume. I had a meeting in Gloucester, then another in Bristol, so had a decent run to challenge the car and I had spied a few charging points along the way just in case. On finishing in Bristol, the range was 62, and i had a 41 mile trip ahead of me… should be enough… in fact it was more than enough and I still had 35 miles in the tank when I got home. So you would have to charge this every other day, unless you don’t stray that far, but even then, it’s not hard, even off a normal power socket, and if you bought one, you’d probably have a faster charge point installed, so no issues there either. So would I buy one… I think so. If the range suits your lifestyle, and you are keen to do the green thing, then this is a very practical alternative to a small family hatchback. In fact, it is a small family hatchback. Oh, and my son loved the fact that the rear doors open backwards. It’s the little things that make a difference, and this car was full of little things. So that’s another plus!